While you may have resolved to slim down in 2012, perhaps using Racing Weight or the Racing Weight Quick Start Guide, it’s very important for athletes to continue to get enough calories to support their training. It’s even more important for everyone to eat real foods and avoid pre-packaged, highly processed pseudo-foods. 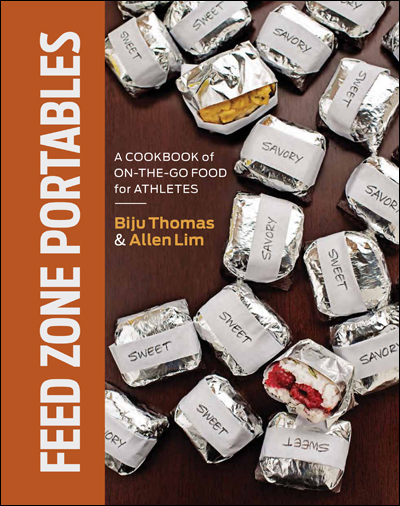 This is where The Feed Zone Cookbook comes in. Most of the book’s recipes include a handful of common ingredients and require just 30 minutes of prep time. Eat well in 2012 and start today with 15 free recipes we offer for download from this website. Check out the free recipes in the Test Kitchen and these just-for-fun recipes. 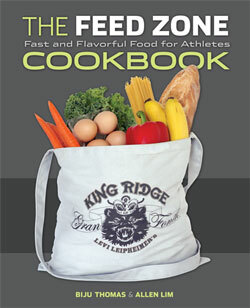 When will “The Feed Zone Cookbook” be back in stock at the major retailers, Amazon, B&N, WalMart? They’re all out of stock and other small resellers on Amazon have marked the price up to $50-80+.